Ubuntu Edge fund raising campaign started with a bang. Almost 5 million was raised in the first 48 hours itself! But things have not been very rosy ever since. And understandably so. Even though the campaign smashed through almost all previous records know to the internet, it is still not good enough to meet the lofty 32 million in 30 days goal set by Canonical. About 13 days to go and still, well above half the target is yet to be raised. Bloomberg, a well-respected US-based financial information and news service, has pledged a record $80,000 to the Ubuntu Edge campaign on Indiegogo. The 80K Enterprise 115 Bundle includes 115 Ubuntu Edge smartphones, plus access to workshops and 30 days of online support to help CIOs and IT managers integrate Ubuntu for Android into the workplace. As omgubuntu notes, "while $80k only accounts for 0.25% of the overall total, the donation gives the campaign something more than just money – it gives it a shot of credibility. After all, if a serious, corporate backer like Bloomberg sees something in this 'convergence' story, maybe others will, too." Lets just hope that others like Bloomberg will pitch in too. This is the first time Ubuntu Edge Campaign has been receiving support from a corporate sponsor. And to commemorate the occasion, Ubuntu Edge prices have been lowered yet again. Don't worry, this one won't go sold-out. And at $695 a piece, it can't get better than this. Some 700 of those has already been claimed. 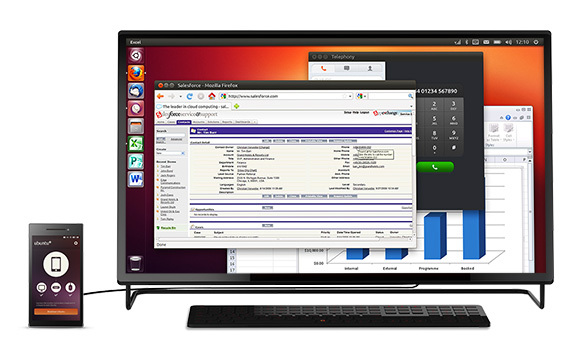 Grab your Ubuntu Edge smartphone right now.